The Book of James is a New Testament document that may have been originally written by James, the brother of Jesus Christ, and later reworked by an unknown editor. 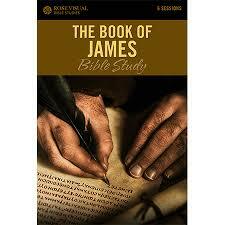 This is a topic suggestion on Books of the Bible: James from Paper Masters. Use this topic or order a custom research paper, written exactly how you need it to be. A research paper on the Book of James will overview the elements that make James unique to readers and the messages that James and the unknown editor wanted to convey to Christians. The book primarily focuses on how one can lead a Christian life in service of God. In relation to today’s common perspective of Christian theology, it is important to note that the Book of James encourages loving devotion instead of a formalistic approach to worship. Rather than focusing on ceremonies and detailed rules, James instructs readers to take a Christ-like position in the world that emphasizes forgiveness and love. The text also preaches against fanaticism, including religious fanaticism. James instructs readers to avoid boasting, meanness, lies, fatalism that blamed God for sin in the world, and oppression. Instead of participating in these negative behaviors, the Book of James teaches that Christians should lead lives of great patience, even when they are provoked, oppressed, or persecuted. According to the book, living life in such a way will benefit Christians upon the return of Jesus, which James seems to believe will occur in the near future. James also believes, though, that it is important to maintain patience while waiting for Christ’s return. After the return of Jesus Christ, all of the wrongs in the world will be set right and devoted followers will be rewarded. Galatians - The Book of Galatians is one of thirteen letters found in the New Testament attributed to the Apostle Paul. Jude - The book of Jude in the Bible consists primarily of a letter written to Christians to warn against worshiping and heeding the teachings of false prophets. Teachings of Jesus research papers discuss the Gospels and what Jesus taught in the Bible. Paper Masters writes custom research papers on The Book of James and discusses the document that may have been originally written by James, the brother of Jesus Christ, and later reworked by an unknown editor.